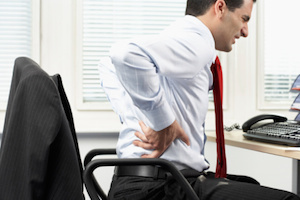 Lower back pain is one of the more common and frequent ailments affecting Atlanta workers, and a number of activities in the workplace contribute to these injuries. A new study focuses on the use of stem cells from the patient’s own body to treat lower back pain. According to the National Institute of Neurological Disorders and Stroke, Americans spend as much as $50 million every year in the treatment of lower back pain. This is one of the leading causes of job-related disability in this country and also one of the leading contributors to days off work. Back pain is the most common neurological ailment reported in the United States. Lower back pain could be the result of putting too much pressure on your back and repeating certain movements, like bending and lifting, which increase the risk of injury. Maintaining bad posture during work can increase stress on the lower back muscles and contribute to lower back pain. In the study, the researchers reviewed case histories involving 22 people who suffered from chronic back pain. They were injected with aspirate cellular concentrate from their own bone marrow. This concentrate contained adult stem cells that are believed to have the ability to repair damaged cells. Stem cell therapy has been an exciting area in medical research, because these cells are believed to have the ability to rebuild injured tissue. The treatment was found to be safe, because none of the patients reported any side effects. Further, out of the 12 patients who had no other surgical treatment after the experiment, as many as 10 reported that their pain lessened about a month after they received the stem cell injections. After a year, eight of the 12 were reporting that they still had significant pain relief. Michael Parsons is an Atlanta workers’ compensation lawyer, representing injured worke0rs in the metro Atlanta region and helping them recover the workers’ compensation benefits that they have earned.